Meet the team bringing Christmas home. Your perfect Christmas tree is only a few clicks away, but it takes many people and a year-round effort to make the magic happen. Meet the members of our happy team below. Farmer Tom heads up the whole operation. 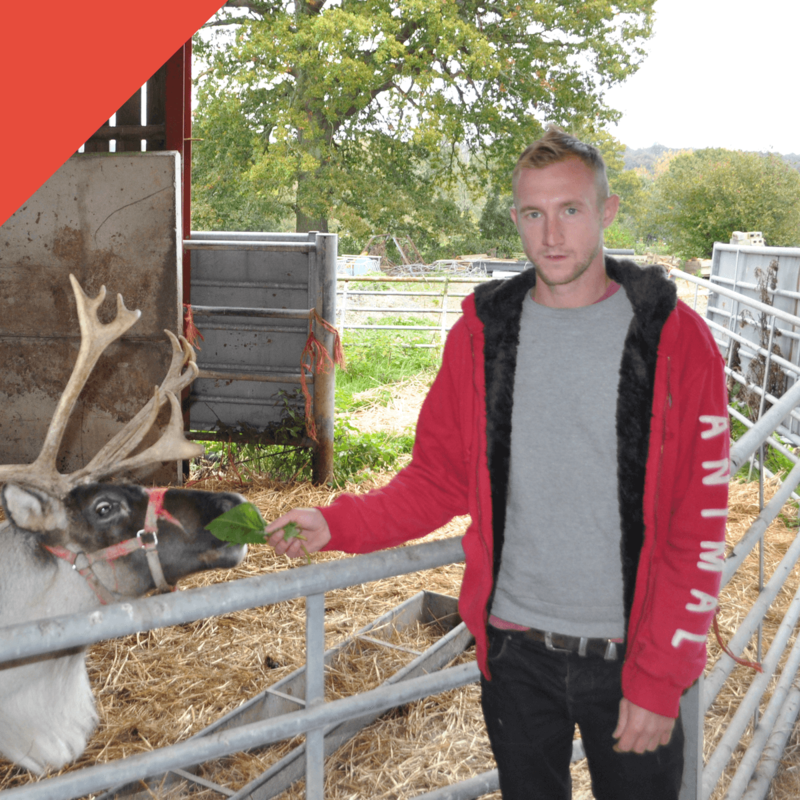 He combined a childhood of mucking around on the farm with a degree in Forestry & Agriculture to take on the challenge of growing Christmas trees in 2007. Despite having rarely been seen, you can be assured he does exist. Phil is the man for every occasion. Alongside his partner in crime Frank the friendly Rottweiler, he can put his hand to anything from sleigh-building to various inventions which will one day make the world a better place. Head of dispatch at Christmas time, any problem will dissipate with his power of positive thinking! 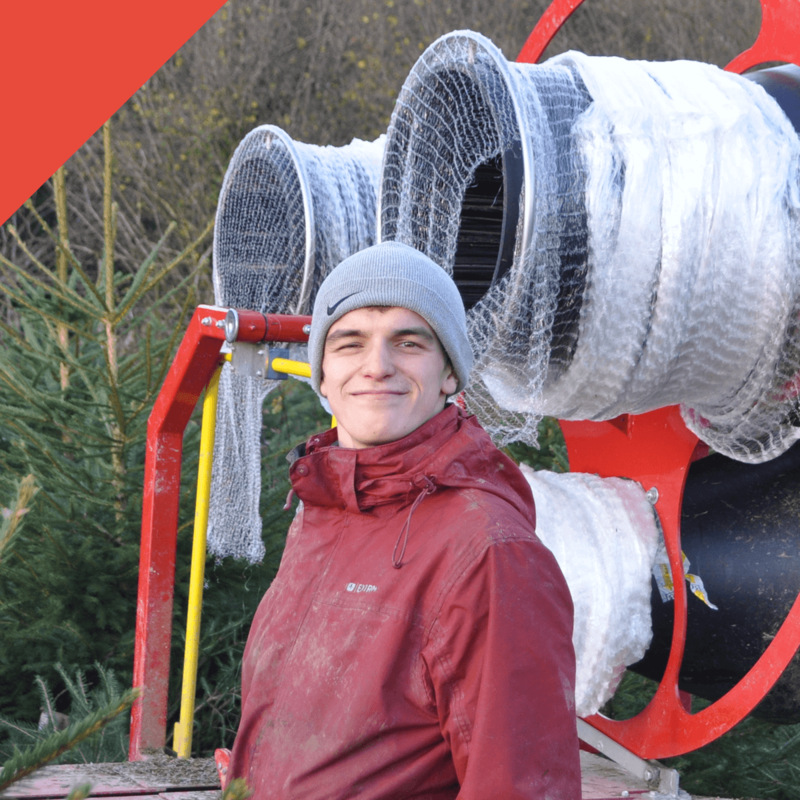 Brandon is the future of Christmas trees, with his artistic eye and mathematical genius he will surely one day be a captain of the industry. 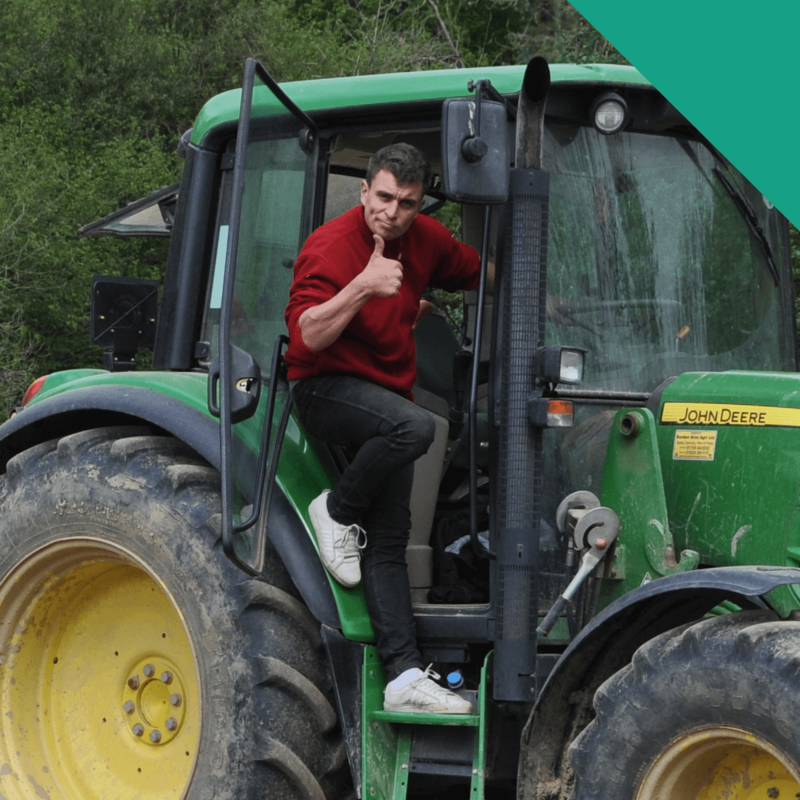 He takes charge of all the large machinery jobs on the farm, so if you’ve just been forced off the road in Lindfield high street by a big green tractor, be sure to give him a wave. Boycie takes his guard dog role very seriously. He barks at every new visitor, then subsequently treats them as if he’s known them all his life. He mostly spends his days moving his toy dinosaur around the farm. Boycie takes his guard dog role very seriously. He barks at every new visitor, then subsequently treats them as if he’s known them all his life. 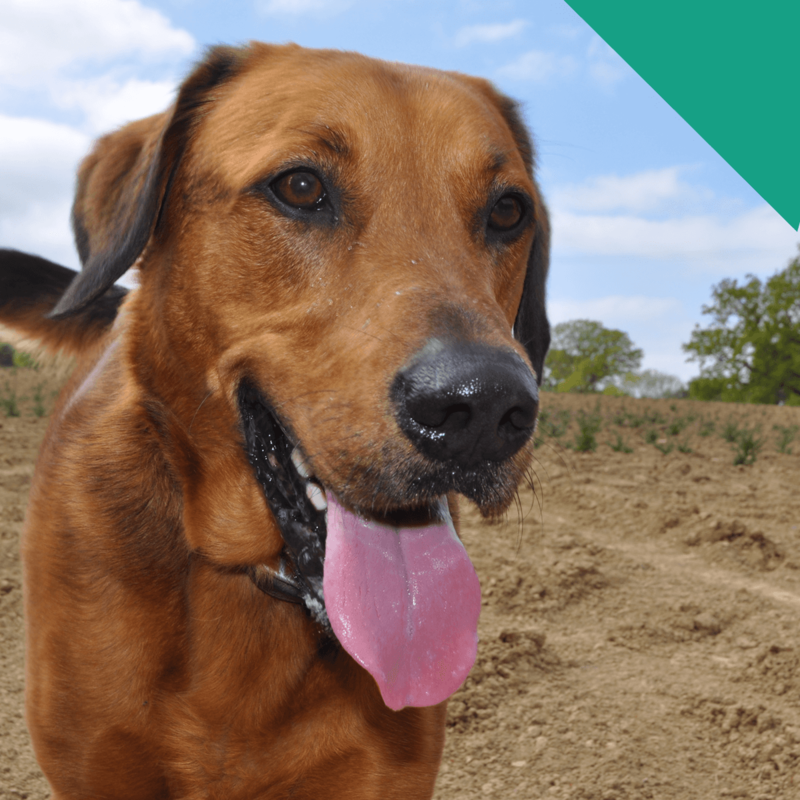 He mostly spends his days moving his toy dinosaur around the farm.